The Medicine Buddha, or Bhaishajyaguru, alleviates suffering, sickness, and injury and thus prolongs human life, improving the human opportunity to attain enlightenment. Medicine Buddha is the Buddha of healing and protection from illness. If you have a loved one who is ill or has passed away, you can help them by having the Medicine Buddha meditation group do prayers on their behalf. Email a) the person’s name; b) their illness or the date they passed; c) your name (the requester) and d) a photo so the group can visualize your loved one to: monastery@sakya.org. 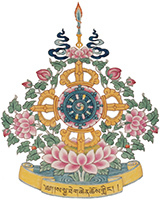 Put “Medicine Buddha Prayer” in the Subject area.